Pokemon Go has taken over the world, gotten everyone out of their houses and hunting monsters, and become a cultural phenomenon. Ingress, the first mobile game created by Niantic, definitely didn’t have the same effect, but has a loyal following around the globe. When put toe-to-toe, which one wins? Pokemon Go is definitely a game that is loved by many and an easy game to play and understand from the start. Ingress is definitely more complicated to play and grasp from the start. The system itself and objectives are more difficult than they are in Pokemon Go. Certainly, not everyone is willing to play a complex mobile game, thus Ingress is not for everyone. Because Pokemon Go is so global and well-known, it’s pretty much expected that if you are walking around starring at your phone, you are playing Pokemon Go. Ingress, being a secret agent vibe of a game, you definitely play it more privately and try to stay subtle. 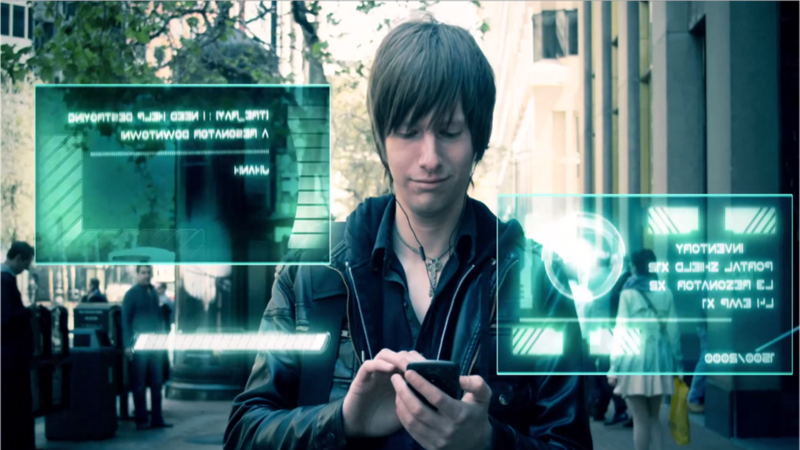 Ingress is a personal experience, not a public one. I feel like, with Pokemon Go, I can leave the app along for a long time and suffer no loss or damage. Ingress is the opposite, where you need to maintain connection and power over the various locations your team has taken over. You won’t lose any Pokemon by not opening PoGo for a week, but you can bet your resonators will be destroyed and your team will lose control of most areas in as little as 24 hours. Overall, I wouldn’t say one game is better than the other. The mechanics are the same, jut the objective and intentions of the game differ. Both are enjoyable and get you outside and exploring, so why not play both? Which one has your attention? Let me know with a comment! I have never heard of Ingress. I’ll have to check it out. I have been playing Pokemon Go although I’ve scaled it back. I usually only play when I’m at the dog park. And I still don’t know what I’m doing but I’m not invested enough to read up on it and learn about it. I’ve considered trying Ingress before, but in the end I’m not sure it’s for me. If I played it I think I’d feel stressed to check it ALL THE TIME and I just don’t want to invite that kind of anxiety into my life lol. Also I’d use sooo much data @_@ I mean, I do with Pokemon as well, but like you said I know nothing bad is going to happen if I don’t check on my Pokemon for a bit, so I can just wait until I get somewhere with wifi. I’ve never heard of Ingress before but I do play Pokémon Go from time to time. I have actually never heard of Ingress, I’ll have to check it out. I had no idea about Ingress O.o I must check it out now. While I hadn’t heard of Ingress prior to Pokemon GO, I don’t think it’s for me. Honestly, what I like least about Pokemon GO is holding gyms and locations and such, and if it’s a huge part of Ingress, I don’t think I’d enjoy that. I like the collecting aspect of Pokemon GO, and walking around to find Pokemon!